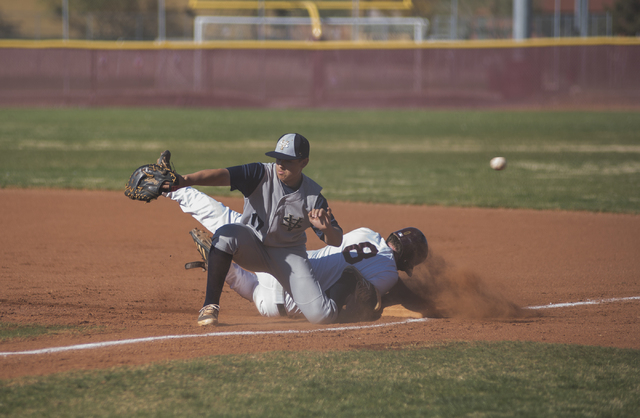 The Spring Valley baseball team scored three runs in each of the fourth and fifth innings to take a four-run lead and hung on for a 6-5 win over Faith Lutheran, which was handed its first league loss since May 3, 2012. 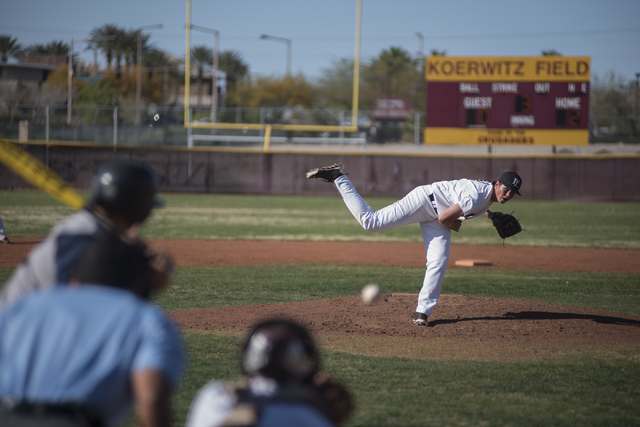 With Faith Lutheran pitcher Zach Trageton quickly retiring the first nine batters he faced Wednesday, Spring Valley’s baseball team desperately searched for any sort of spark to rattle the 6-foot-2-inch junior ace. The Grizzlies got it from the top of their order in back-to-back innings. 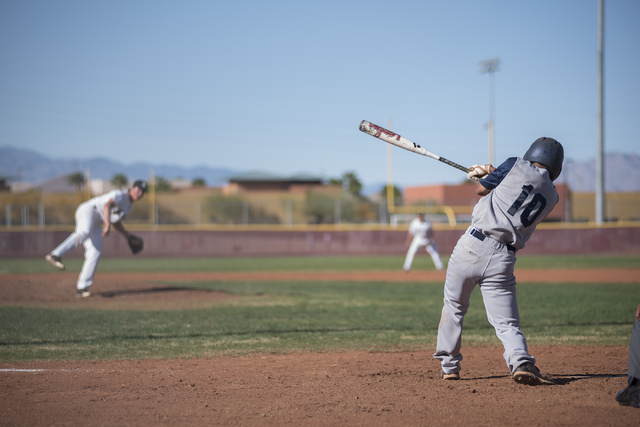 Spring Valley scored three runs in each of the fourth and fifth innings to take a four-run lead and hung on for a 6-5 win over the host Crusaders (9-4, 3-1 Division I-A Sunset), who were handed their first league loss since May 3, 2012. 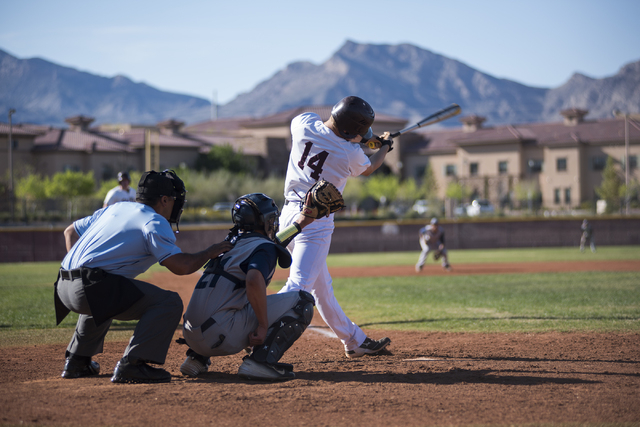 Leadoff hitter Jaxton Otis broke up Trageton’s perfect game in the fourth inning by drawing a six-pitch walk, and Nick Rupp ended the no-hitter on a single in the next at-bat for the Grizzlies (7-4, 4-0 Sunset). 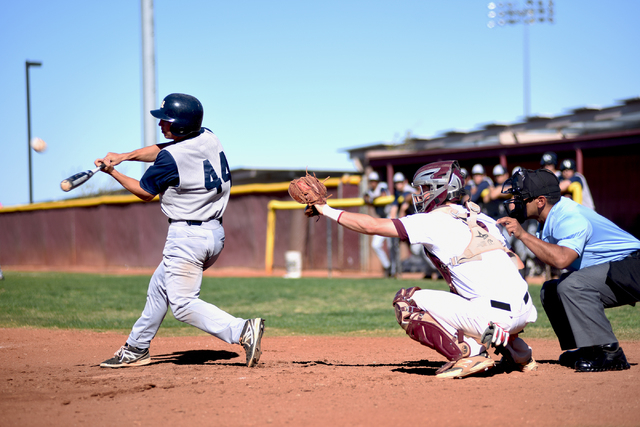 Jake Sellinger then was hit by a pitch to load the bases for cleanup hitter Carter Lambeth, who hit a two-run single over the glove of Faith Lutheran third baseman Cruz Daddario to tie the game at 2. Sellinger scored on Bryce Bullock’s single to right field on a hit-and-run to give the Grizzlies a 3-2 lead. In the fifth, Otis led off the inning with a single and scored on an RBI single by Sellinger to extend the lead to 4-2. 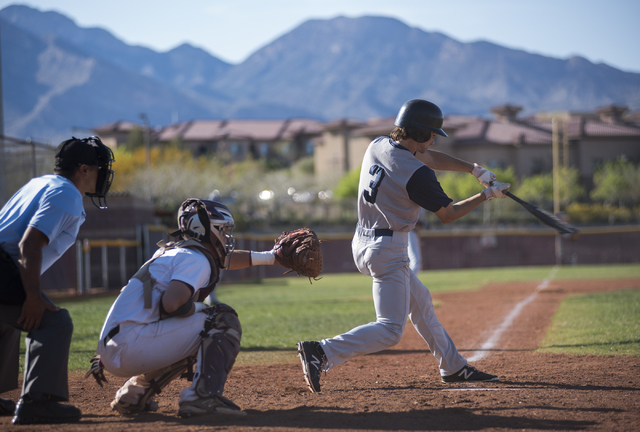 Spring Valley got all six of its runs from the first four batters in the lineup. The Grizzlies Nos. 5-9 hitters went a combined 2-for-17 with eight strikeouts. 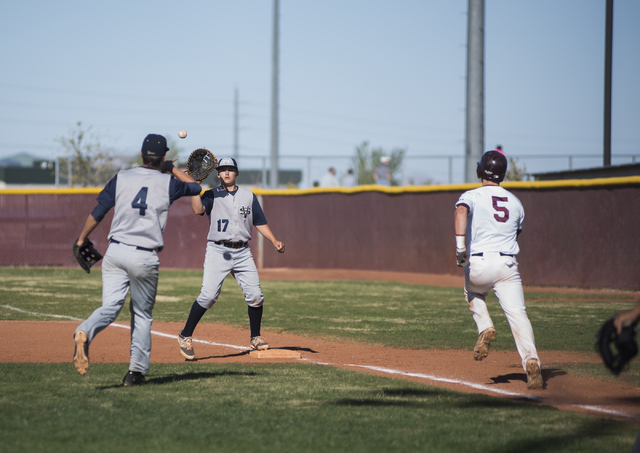 Faith Lutheran pulled within 6-5 and had the bases loaded with two outs in the seventh, but relief pitcher Jaxton Otis got Chad Jones to line out to left. Bullock, a sophomore, scattered nine hits in 6 2/3 innings while striking out five and walking one for Spring Valley. 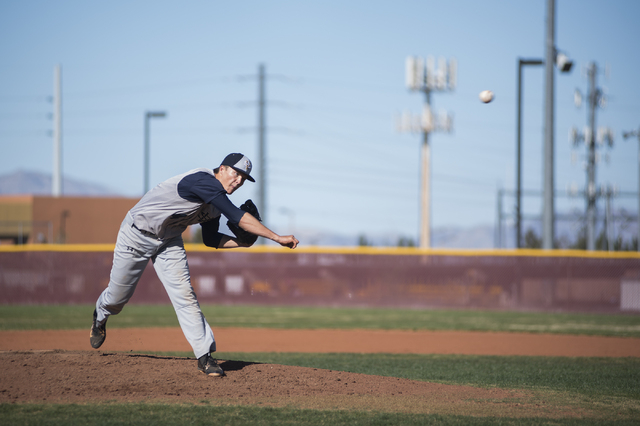 Trageton gave up seven hits in five innings and finished with seven strikeouts and a walk for Faith Lutheran. 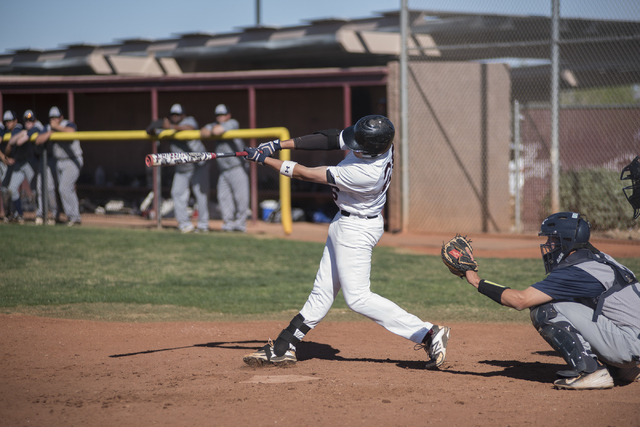 Brandon Davis went 3-for-4 with a double and three RBIs for the Crusaders.